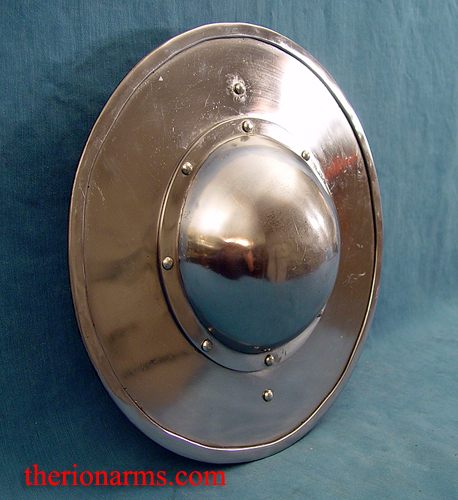 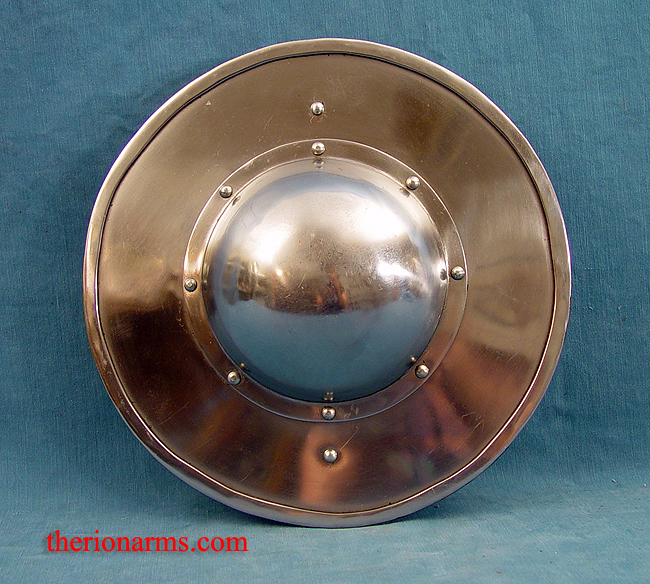 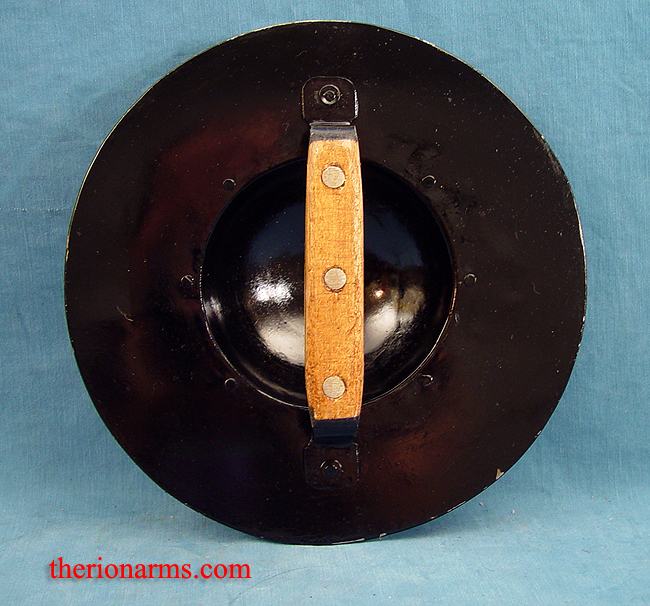 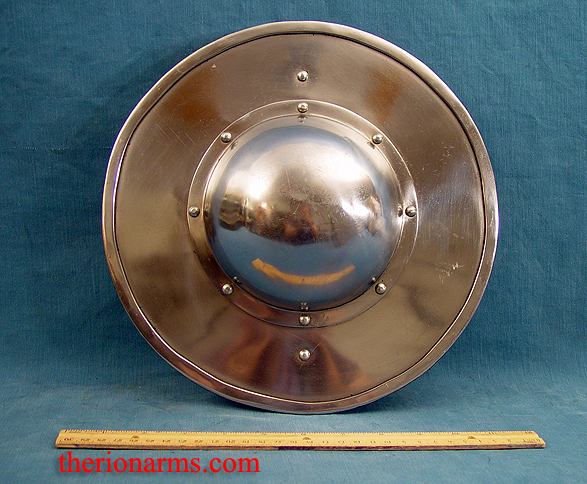 14 gauge steel buckler with a solid double-thickness rim, riveted boss, and off-standing wood slab grip. 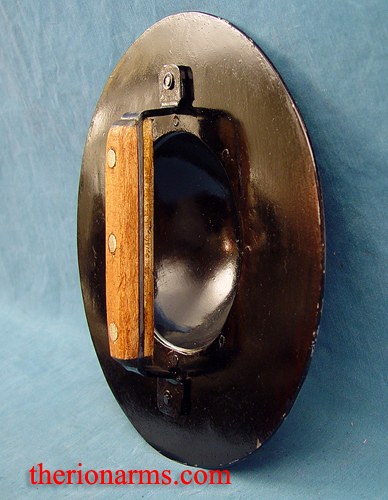 I'd continue on with an amusing description, but I know you know what bucklers are for. 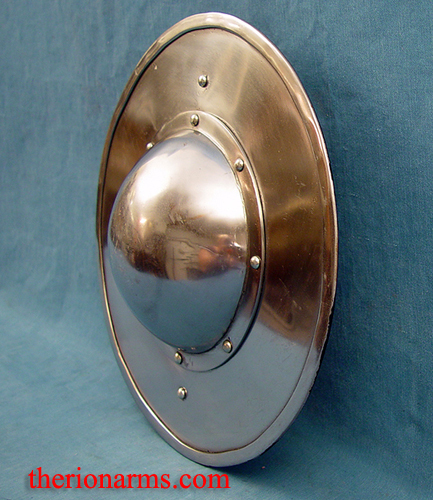 This one is nice and solid and will stand up to any combat system, be it rattan or synthetics or steel. 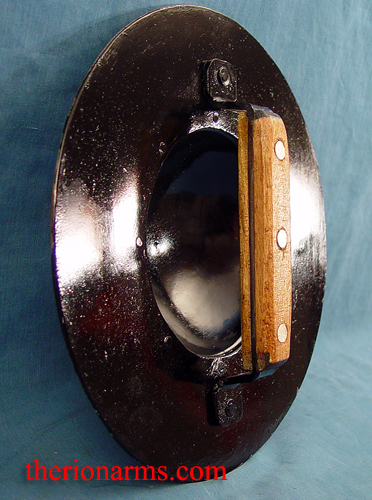 Also available blackened.